The month of December is so busy with getting ready for Christmas….sometimes it’s nice to come home to dinner that’s done! 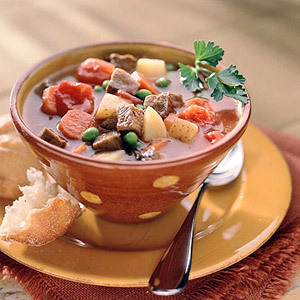 I love crock pot recipes that you can easily toss together in the morning. Here are 7 easy recipes to lighten your cook time in the evening and still enjoy a healthy meal after your day. Directions: Heat oil in frying pan over medium-high heat. Season roast with garlic, cumin, salt, and pepper; brown on both sides. Remove roast from pan; put in slow cooker with remaining ingredients. Cover and cook on low about 8 hours. 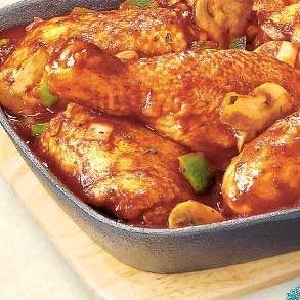 Add chicken to Crock-Pot slow cooker, and then top chicken with remaining ingredients. Cover and cook on Low 7 to 9 hours or on High 4 to 5 hours. Garnish with fresh torn basil, and serve over linguini and pass the cheese. 1. 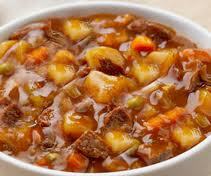 In a 3-1/2- or 4-quart slow cooker, combine beef chuck pieces, sliced carrots, cubed potatoes, and chopped onion. Sprinkle with salt and thyme. Add bay leaf, tomatoes with their juices, and water. Stir until all ingredients are combined. 3. Remove and discard bay leaf. Stir in peas and garnish with parsley if desired. 1. Rinse beans; drain. 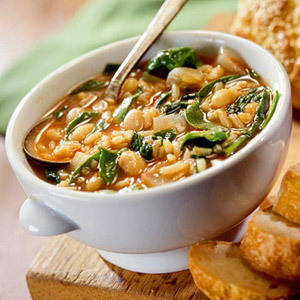 In a large saucepan, combine beans and the 5 cups water; bring to a boil. Reduce heat and simmer 10 minutes. 2. Remove from heat. Cover and let stand 1 hour. Rinse and drain beans. 3. Heat oil in a skillet over medium-high heat. Cook pork in two batches; drain fat. 4. Coat a 3-1/2- or 4-quart slow cooker with cooking spray. Add beans, pork, onions, garlic, and cumin. Pour in the 4 cups water; stir. 5. Cover; cook on low heat 10 to 11 hours. 6. Using a slotted spoon, remove beans and pork. 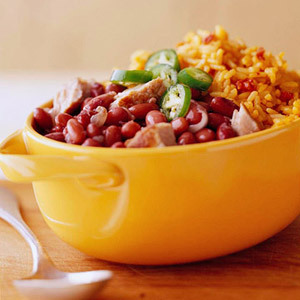 Serve beans over rice, and spoon liquid over the top. Garnish with sliced jalapeno. 1. 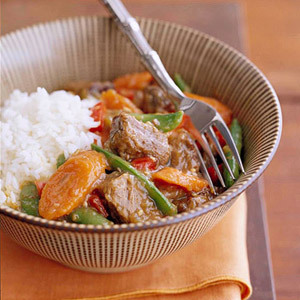 In a 3-1/2- or 4-quart slow cooker, combine beef, carrots, scallions, and garlic. In a medium bowl, combine the 1 1/2 cups water, soy sauce, ginger, bouillon, and crushed red pepper; pour over mixture in cooker. 2. Cover; cook on low-heat setting 9 to 10 hours or on high-heat setting 4 1/2 to 5 hours. 3. If using low-heat setting, turn to high-heat setting. 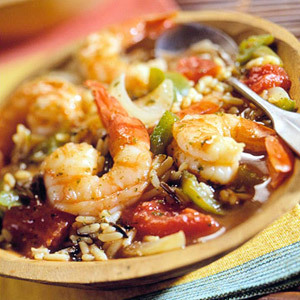 In a small bowl, combine cornstarch and the 3 tablespoons cold water; stir into meat mixture along with bell pepper. Cover; cook 20 to 30 minutes more, or until thickened, stirring once. Stir in sugar snap peas. Serve with rice.